Social media is a dynamic marketing medium that has become a powerful force and industry standard for business. There are oodles of platforms each of which have hundreds of developers working hard to constantly deliver a bigger and better platform for users. However, despite social media’s dominant market presence, many people are still questioning its purpose and intent. I accredit part of this apprehension to the lack of education due to the speedy nature of the industry. As a result, I have developed a business focusing on training people how to use social media. 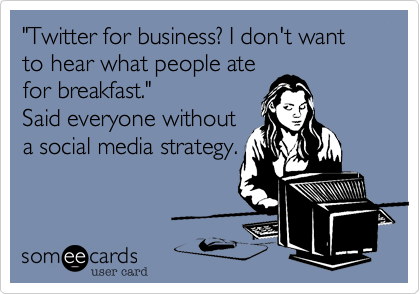 While there are many local, national, and international businesses that provide a hands-off approach by assisting organizations manage and maintain their social media accounts (my business does that too! ), I realized there was a lack of readily available social media education. Understanding the Language – The biggest stumbling block for many learners is the new language associated with social media. (Rosetta Stone I think there may be a market for you here!) Many social media industry veterans forget that not everyone understands this online jargon. When working with clients I make a conscious effort to define key terms and encourage questions if people are unclear on a word or phrase. No, gentleman in the front row hashtags are not something you did in the 70s. Do It – I admit it… social media platforms can be overwhelming! Have you ever paused to look at your Facebook homepage? Let’s take a quick inventory of the options: newsfeed, messages, events, status updates, sponsored stories, ticker, finding more friends, pages and ads…. Terrifying! When I work with clients I explain to them the different components of social media platforms. I encourage learners to click on the different buttons to learn for themselves, (this is called guided practice) and if they get lost or stuck I am available to assist. The majority of people learn through doing – I allow learners the space in which to do this! Education and marketing are passions of mine. This business has been a marriage of two elements that make me tick! Give me a call if you are interested in one-on-one or group training. I love what I do, and want to help you understand social media! Remember the old Facebook Page layout (circa February 2012). Yeish! How quickly we forget! Well, the old page’s layout allowed page admins to share a: status, photo, link, video, or question. Now the new Facebook Page layout (Circa March 2012) allows users to share a: status, photo, video, question, event, or milestone. Aside from the addition of events and milestones, there is one other change that has been perplexing Facebook admins: How do I share links? 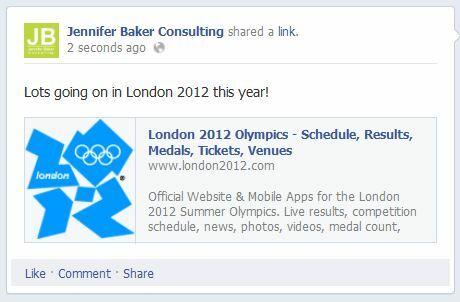 Facebook has made it easier, and a bit more confusing to share links. To share a web link, choose the generic “status update.” Compose your message. Paste the web link into the body of the post. But, before you click Post wait for the web link to load below your message. 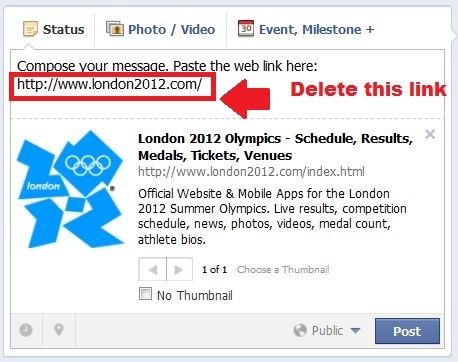 Once the web link information has loaded, delete the web link from your status update. 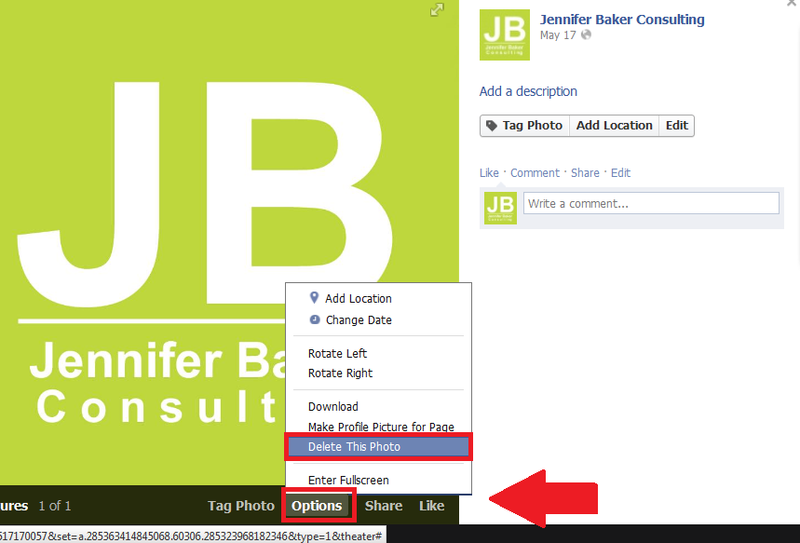 While this may seem a bit confusing, it helps to keep your Facebook page (and posts!) clutter free! You may have noticed that the professional social networking site, LinkedIn, has made some drastic esthetic changes. Navigation Bar: This tool bar sits at the top of your LinkedIn profile. Previously it was white/light grey, but now it is a bold charcoal grey that provides clear delineation. This is one of the biggest visual changes to the LinkedIn homepage. Update Esthetics: Rather than blending into the background, LinkedIn has highlighted updates by making the LinkedIn background light grey, while keeping updates white. This colour contrast has allowed for a clean, streamline look to the LinkedIn updates. Bigger Photos: Uploading a link that contains a photo? Now photos associated with links will be larger for easier viewing. Automatic Updates: Previously to view all your connection’s updates, you would have to click “See More” and wait for the additional updates to load. Now, as you scroll down the page, the updates continue to populate. Wow. 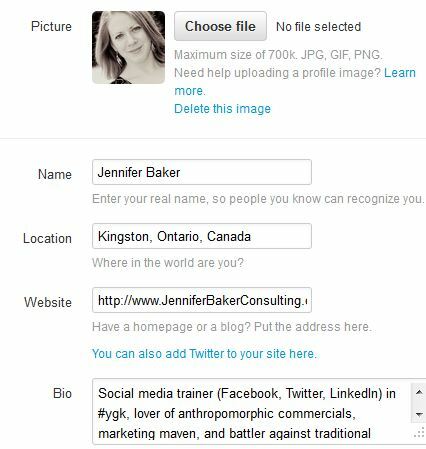 Five really big changes to your LinkedIn profile. It seems as though LinkedIn has taken a page out of the Facebook playbook – viewing top/all updates, bigger photos, automatic updates…. What do you think? Finally! Your Facebook has a perfectly sized page profile picture. It looks great. It fits perfectly within the box. It’s creative. There are also six additional profile pictures within your profile picture album. They are all your attempts of resizing your profile picture to the ideal size. This is a pet peeve of mine. (My husband may claim that I have a few of these…) A profile picture album filled with wrongly sized and shaped logos. Take a moment today, and delete all the profile pictures that did not work. Click on the Photos app. This will bring you to a page that shows all your page’s photo albums. Viola! Now, go through the rest of your album and remove any out-of-date profile pictures. What’s the point of having a Twitter account if you only have 7 followers? Here are three tips to make your Twitter profile searchable. For your Twitter account to appear in search results make sure that you have completed all the required information, including full name, username, and complete bio. If you are unsure if you have filled out these details, visit your Twitter profile settings. This means tweeting and retweeting other Twitter users. Also make sure you @reply and mention other users when applicable, as they will receive notification that you are discussing them on Twitter.